I'm afraid we're away again this weekend so my blog stories are all a bit short and sweet this week! I've spent my Thursday frantically trying to get organised in time for Christmas since I won't be able to get on with any jobs this weekend. I have so many plans and don't want it to end up another manic last 2 weeks like when we got married! I am, however, very excited now it's finally December and I can get the decorations up - probably next Thursday if I have time, although I want to wait a bit for the tree since we're having a real one again and I want it to still be nice and fresh on Christmas day! 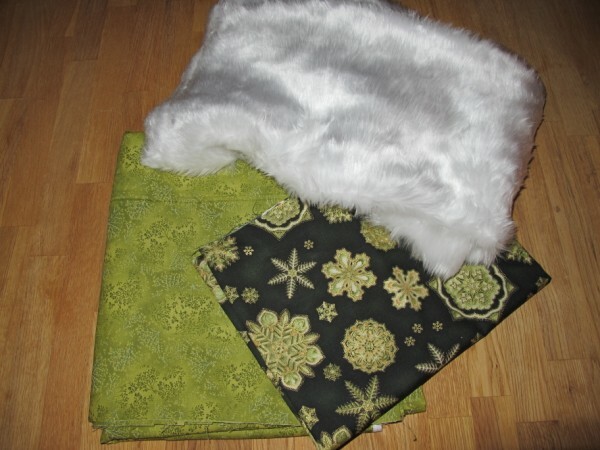 What do you think I will be doing with these fabrics? ?